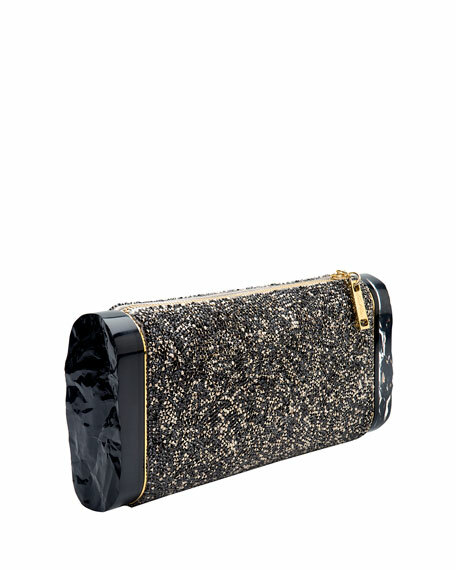 Edie Parker "Lara" glittered fabric clutch bag. Fits smart phone, including Apple iPhone® 6+. 4.5"H x 9.6"W x 1.8"D.
For in-store inquiries, use sku #1687777.